Open data activists, start your engines. 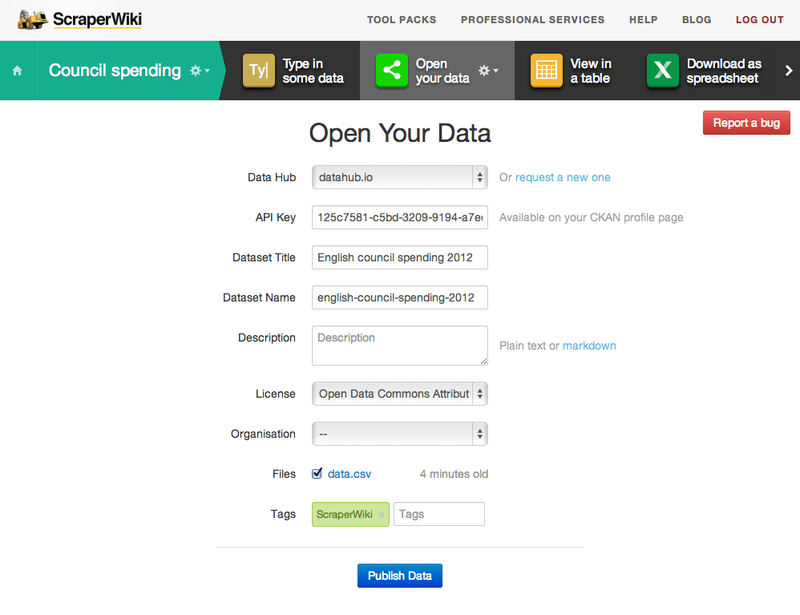 Following on from last week’s announcement about publishing open data from ScraperWiki, we’re now excited to unveil the first iteration of the “Open your data” tool, for publishing ScraperWiki datasets to any open data catalogue powered by the OKFN’s CKAN technology. And remember, if you’re running a serious open data project and you hit any of the limits on our free plan, just let us know, and we’ll upgrade you to a data scientist account, for free. If you would like to contribute to the underlying code that drives this tool you can find its repository on github here – http://bit.ly/1898NTI.